When Cut Copy revealed the breakthrough 2008 album In Ghost Colours, recreating ‘80s dance music for the growing indie-rock congregation equaled being a niche artist within a largely-niche market. Two albums later, they”re one of Australia”s biggest music exports with a huge following in both Americas and Europe. What that means is having to deal with questions big bands usually face: how to keep up with the ever-changing standard of relevance AND pursue their goals as artists without betraying the sound their fans originally fell in love with. Cut Copy”s answer Bij de meeste ligt deze inzet-aantal op 25x. lies in subtly emphasizing some of their long-established influences (acid-house and psychedelic rock, to be exact) in a way that strengthens their connection to a particular (and particularly hip) moment in time; look no further than the trippy album cover and you”ll be reminded of UK”s Second Summer of Love and bands such as Happy Mondays or Primal Scream. That said, the Aussies will not disappoint their devoted following: Free Your Mind, a versatile collection of life-affirming dance tracks, confidently evokes the best aspects of both In Ghost Colours and 2011’s Zonoscope. 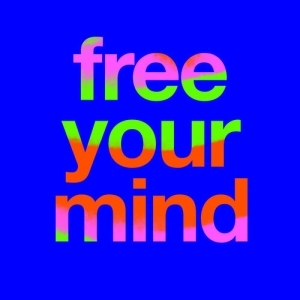 Plus, “Free Your Mind” is one of the best singles they”ve ever had, showing Cut Copy at their most accessible and musically elaborate. Don’t miss out on this one.